In honor of Connected Educator Month, I'm kicking off a new weekly series on my blog where I will feature leaders, educators, and innovators and their answers to my 20 questions. Enjoy! Today's feature is Brad Currie. 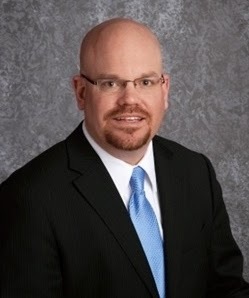 Brad is a middle school leader who is passionate about leveraging the power of technology in schools, including using social media to tell a school's story. He's the author of a recently released book, All Hands on Deck: Tools for Connecting Educators, Parents, and Communities, and he's also the co-founder of the wildly popular #satchat (a weekly discussion via twitter on Saturday morning.) Brad was named an ASCD Emerging Leader, he was a 2014 Bammy! Award finalist, and he's one of the co-founders of Evolving Educators, LLC. I wanted to be a DJ or a professional basketball player. 2. What brings you the greatest joy? I love when my children are happy. Nothing brings greater joy to my life than seeing my kids enjoy being kids. 3. How do you maintain a work/life balance? Under-react. My dad spoke to the importance of this early on in life. 4. What is the best advice you've been given? I struggle with this on a daily basis. It's hard enough to maintain a work/life balance. Throw in the life of a connected educator and it is even more difficult. The fact remains that I try to find time to have a catch with my son, watch tv with my wife after the kids have gone to bed, and run around with my young daughter. 5. What is a new skill you would like to learn? I would like to learn how to be a better gift buyer. 6. What’s on your bookshelf? Eric Sheninger's Digital Leadership, Dave Burgess' Teach Like a Pirate, Corwin Press' Connected Educator Series, and Todd Whitaker's Shift the Monkey. I learned that you need to be human and possess a great deal of empathy. 8. What’s on your bucket list? I would like to play golf at Augusta National Golf Course and Keynote a major education conference. 9. You just won the lottery. What one thing would you buy for yourself? I would buy myself a brand new Mustang. 11. What is your number one productivity tip? Leverage the power of your Smartphone to conduct your day to day operations. I would rid the world of children having to go through a tough upbringing. 13. Who is on the guest list for your ideal dinner party? 14. What would people be surprised to know about you? I know how to operate a forklift with great success. 15. What was your favorite class in college? 16. What quote do you live by? 17. What is one thing you never, ever worry about? 18. If you could swap places with someone from the past for one day, who would it be? 20. What is one thing you wish you knew when you were younger? Brad's blog can be found at https://www.thebradcurrie.com/blog and you can connect with Brad on twitter at @bradmcurrie.